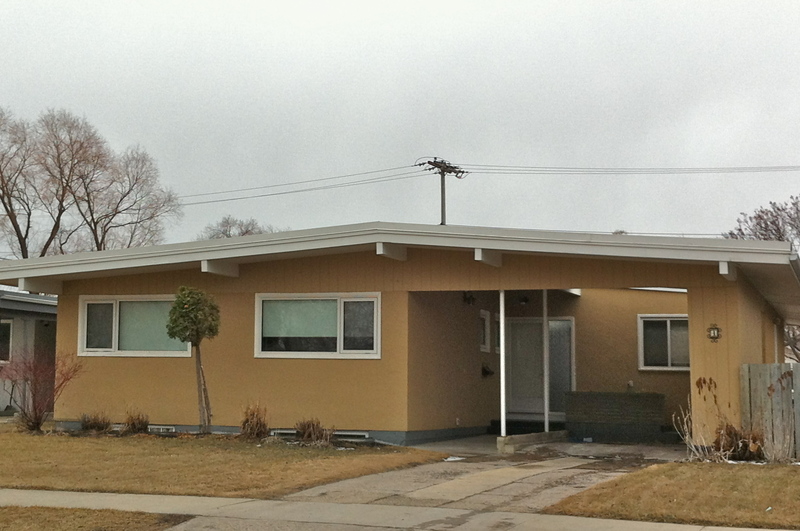 6 Bluebell Avenue matches a number of other similar modernist homes on Bluebell Avenue. All were constructed in the early years of the development of the Garden City area. 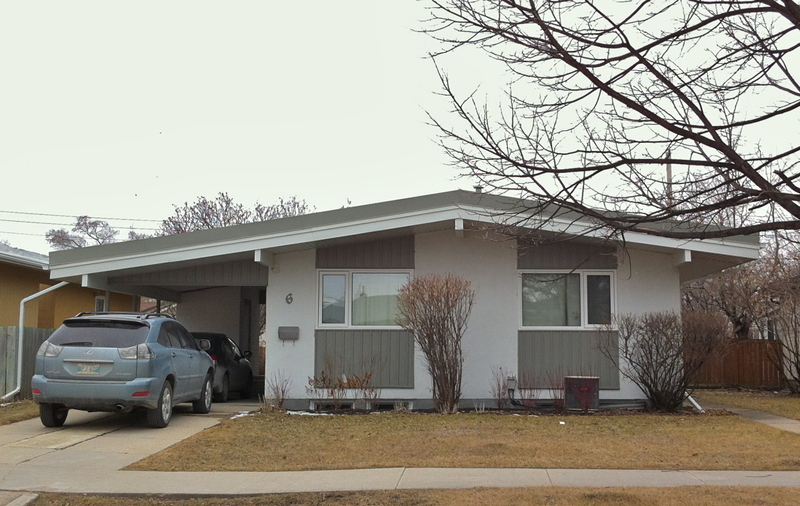 Garden City is a neighbourhood in the north-western part of Winnipeg. It has a land area of 2.32 square kilometres, and a population of nearly 6,000. Garden City, then located in the city of West Kildonan, was developed by Model Homes Limited, a firm which estimated a cost of $20 million to develop nearly 420 acres. Plans for the project were first announced in 1951, with construction beginning in 1955. The boundaries of the Model Homes Limited subdivision were, to the east, the Canadian Pacific railway, McPhilips Street to the west, to the south the historic boundaries of the City of Winnipeg and Kildonan Avenue to the north. Model Homes Limited plans included the development of 1,500 homes, a shopping centre, six schools, churches, parks and recreation areas. Expectations were that the building of Garden City would raise the population of West Kildonan from 14,000 to 20,000. The president of Model Homes Limited was David Weinbender; the company was a conglomeration of four contractors and had coalesced around the notion of this development in 1946. The name "Garden City" came at the suggestion of Model Homes Limited lawyer E.H. Crawford. Along with the general concept for the area, this name was drawn on the Garden City area in Minneapolis, Minnesota. Plans were for the preponderance of homes to contain five or six rooms and cost approximately $14,5000 to $20,000. 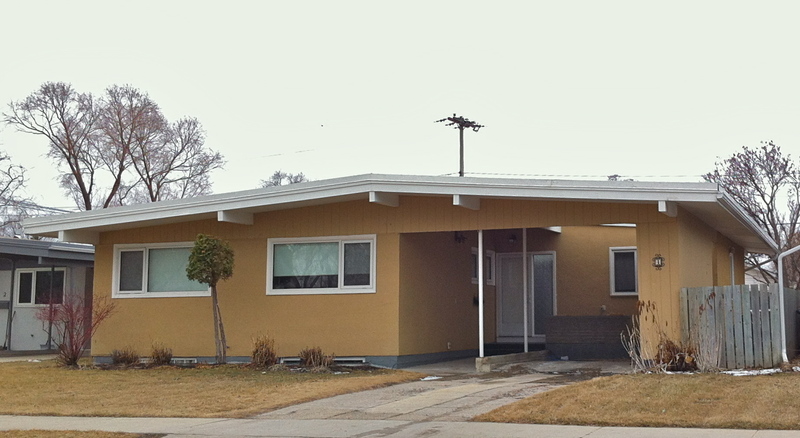 Most of the homes in the area are designed in a modernist-influenced ranch-style vein with clean lines, large windows and such built-in functional details as carports. Input was given on the project by the Central Mortgage and Housing Corporation.